While most users are waiting for the Windows 10 spring update that has been delayed , the Insider program members who are testing Redstone 5 , continue to receive exciting news. 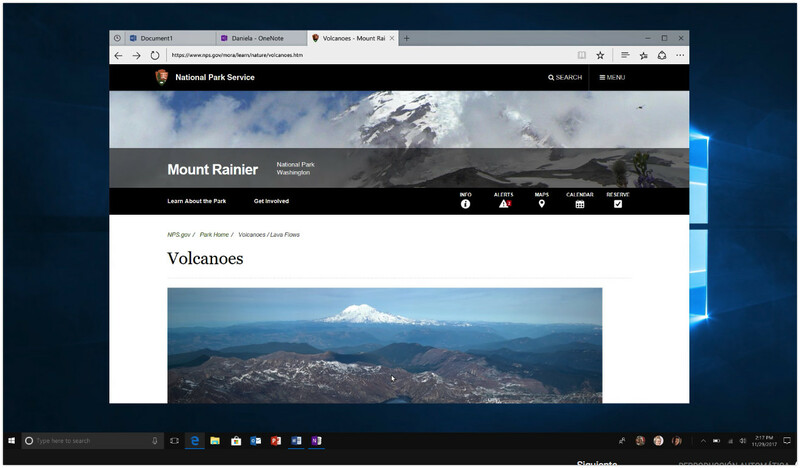 One of the most striking things in the most recent preliminary version ( build 17643 ), has to do with the new function called ‘ Sets ‘ and its novelties, a feature that is shaping the future of multitasking in Windows taking advantage of smart tabs. In this last build, all those who are also Office Insiders and Office 365 subscribers will be able to start experiencing the Sets experience in their documents, spreadsheets, presentations, emails and more. This means that you can have Word, Excel, Power Point, Outlook and other files in the same window , thanks to the fact that ‘Sets’ allows you to execute them in tabs as if they were the browser. You can create a working group (a “set”) with different Edge tabs where you have the information and in the next tab you are editing your Word document. But not only Office starts to benefit from ‘Sets’ with this update, but now the function is available for most classic desktop applications (Win32), as long as you do not have custom title bars, such as Paint. Another improvement is that if you have opened an Edge tab within ‘Sets’, now you can drag the tab anywhere in the group, or move it to another ‘Sets’ window. What does not work yet is moving an independent Edge window to a Set. Another sign that the feature is still green, but also progresses a lot.